WATCH THE TRAILER AND ORDER YOUR USA DVD VERSION BELOW! HAPPY ST. PATRICK’S DAY!!!!!!! The Irish revolutionary Jeremiah O'Donovan Rossa was brutalized in English prisons and then exiled to New York City where in the 1880s he founded THE BROOKLYN DYNAMITE SCHOOL that was active in Greenpoint, Brooklyn. He claimed to have "invented terrorism" and trained operatives to set off explosions on English soil. 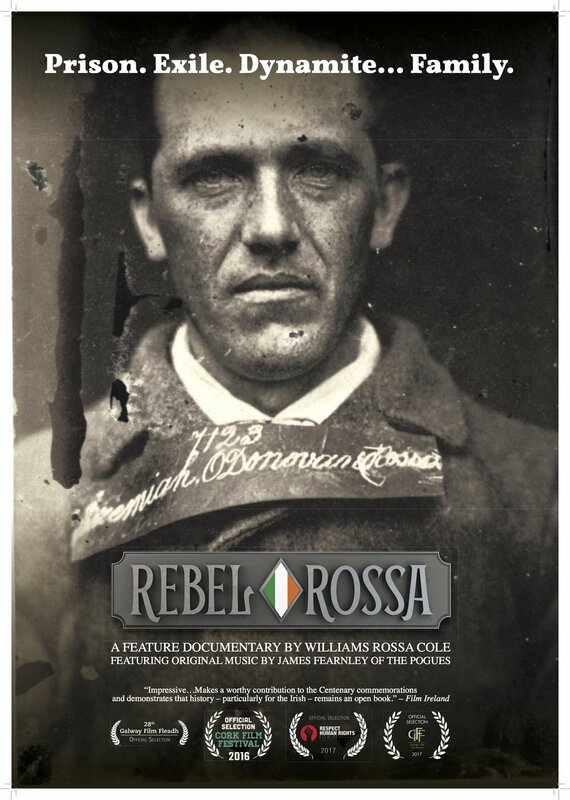 Always controversial and never boring Rossa's story is told in the documentary REBEL ROSSA. Please watch on Amazon Prime or order your DVD (with an hour of exclusive extras). IRISH/ENGLISH DVD (PAL) AVAILABLE HERE & at AMAZON.CO.UK & EBAY.CO.UK as well as in gift shops, Tesco, Eason's and other venues! UPCOMING SCREENINGS!!!! The screenings below in the USA have been great. Please contact me at rossafilm@gmail.com if you would like to set up a screening for your organization. In my experience it is a great film for Irish-interest organizations to screen for membership and the public. Thank you! Premieres in NYC and Chicago were amazing, thanks to everyone for coming out. The DVD is going to be released soon in IRELAND, please check back in early April and I will have the information. JUST ANNOUNCED - A shorter 52 minute version of Rebel Rossa re-titled "Who Owns O'Donovan Rossa" will be broadcast on RTE ONE on DECEMBER 15th at 11:15PM in the usual documentary slot. Please spread the word! This isn't the final film so I would encourage those interested to still watch the full Rebel Rossa when it becomes available. Thank you! I AM PLEASED TO ANNOUNCE THE REBEL ROSSA (new title) WILL BE PREMIERING AT THE GALWAY FILM FLEADH ON JULY 7TH. It has been an incredible ride with much hard work to get it to this place in such a tight timeframe and such little funding - so I thank again everyone that helped along the way! There is only one screening scheduled and then a sneak peak screening at the Skibbereen Arts Festival on July 23rd. But keep spreading the word and requesting to see it as that will certainly help a wider distribution. And, yes, if you can please find it in your heart to donate as I still need to find funds for finishing the mix, color, licensing, etc. etc. Thank you!!! 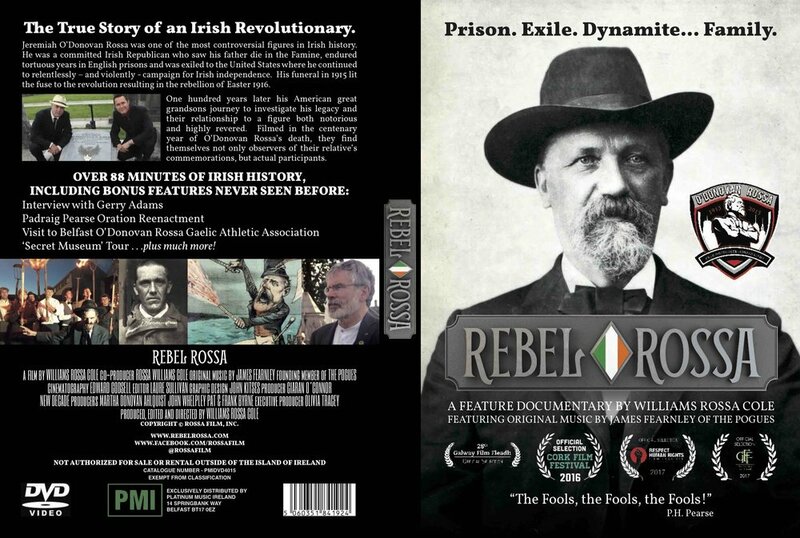 Please take a few minutes to meet the filmmaker and learn more about ROSSA IRISH REBEL! Editing is happening but we need your support in order to meet urgent deadlines. We appeal to you to be part of this project that will carry forward the story of ROSSA. Thank you! PS - James Fearnley of the Pogues is composing music for the film as well as an original song based on Padraig Pearse's famous oration - "The fools, the fools, the fools!" - Amazing! OUR SHOOT IN AUGUST WAS A GREAT SUCCESS. I AM CURRENTLY ORGANIZING THAT FOOTAGE AND BEGINNING THE EDIT AS MUCH AS POSSIBLE WITH LIMITED RESOURCES. PLEASE CONSIDER DONATING TO THIS PROJECT IF YOU CAN! This is the second trailer for the documentary ROSSA IRISH REBEL from footage filmed in Ireland in April 2015. We are heading back to film in late July. Please help support this project at www.rossafilm.com/donate. Thank you!